Listos 3 is a two-year course providing complete preparation for GCSE. 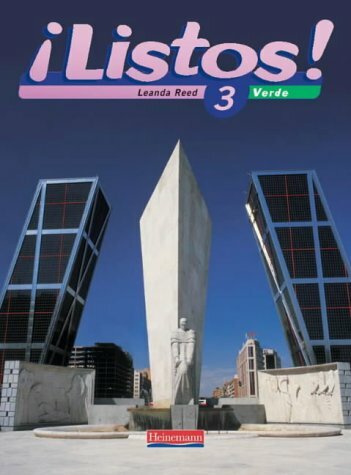 Listos 3 Verde is designed for pupils studying for the foundation tier at GCSE and offers: Full coverage of GCSE topics Repaso sections at the beginning of each chapter to help students revise material covered in earlier years Hablar and Trabajo de curso sections in each chapter to prepare students for the speaking test and for coursework Differentiated reading and writing at the back of the book which provides invaluable extra practice. Please note Listos 3 is suitable for GCSE exams up to 2010.